The great state of Illinois helps first-time home buyers! Qualify for a loan, but having trouble coming up with the cash for a down payment and closing costs? I’m here to help! In part two of my first-time homebuyer program roundup, I’ve got all the information you need to get started with one of the programs the Illinois Housing Development Authority has to offer. 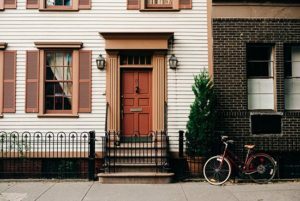 As with any program designed to help people on the path to home ownership, there are, of course certain requirements a home buyer must meet. These programs were originally designed for first-time home buyers and people who have not owned a home for at least three years. However, three out of the four programs will help any home buyer. You have to meet income requirements to qualify that fluctuate year-to-year. As a general rule, however, your income must be at or below the limits of the county where you are buying a home. Purchase price requirements also vary by year and by county. Check them out here to see if you qualify. You must have a minimum credit score of 640. Your debt-to-income ratio cannot exceed 45% when figured on your gross monthly income (a.k.a. your back-end debt-to-income ratio). If your credit score and/or debt-to-income ratio falls outside of this range, you can talk to your lender or to a homeowner counselor at the IHDA. Homes in these programs must be your primary residence–meaning, you have to live there full-time. This is home. It must be a single-family home, which also includes townhouses, duplexes, and condos. None of the programs will cover loans on manufactured homes. The 1stHomeIllinois program also forbids using it for new construction. For all of these programs, participating home buyers must put up 1% of the down payment or $1,000, whichever is smaller. They also must complete state-approved pre-purchase housing counseling before closing. You must use the assistance from the IHDA programs to cover your down payment and/or closing costs , you cannot receive more than $250 back at closing, and your first mortgage must be an IHDA 30-year fixed rate mortgage. Forgivable? That sounds like something you don’t have to pay back, right? Sort of. The IHDAccess Forgivable is a loan that is added to your mortgage as a “forgivable” second mortgage. Also called a “soft second,” as long as you meet the requirements above and a few more below, you can have the total, yes, forgiven—erased. The IDHAccess Forgivable offers 4% toward your down payment and/or closing costs, but no more than $6,000. The interest rate is 0%. The forgiveness process takes ten years. For this ten years, you do not have to make a payment on the loan, and it is reduced incrementally each month. 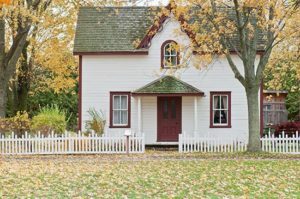 If you sell or refinance your home before the end of this 10-year period, you will have to repay the remaining balance that has not been forgiven yet. Deferred means, as you probably know, a payment you can postpone without penalty. IHDAccess Deferred offers 5% of the purchase price up to a $7,500 maximum at 0% interest. You do not have to make a monthly payment, but all of it is due back when you pay off your first mortgage, the loan matures, or you sell or refinance your home. You can pay it off early without penalty. Think in increments of ten or this program. With the IHDAccess Repayable, home buyers can borrow 10% to $10,000 of the purchase price at 0% interest for a 10-year 2nd mortgage. You will make monthly payments over that 10 years. The balance is due immediately if you sell or refinance your home, and there is no penalty for early repayment. This one is a forgivable second loan like the IDHAccess Forgivable, and you can get $7,500 that is forgiven over the course of five years at 0% interest. Of course, if you sell your home before the five years have passed, you will have to pay it back. The time is now for first-time home buyers in Illinois! Now that you know the basics about working with the Illinois Housing Development Authority, it’s time to find a lender to help you through the process! The IHDA makes it easy with its own Find-A-Lender database. And, of course, Nancy Miller is here to help you find the right place. Let’s get you on the road to home ownership!